The American managed to recover from a disastrous start to take his fifth PGA Tour title. Great performance of the Biscayan, who added another Top-10 in 2019. The American Rickie Fowler survived the panic at the TPC Scottsdale, where he came to be on the ropes, to finish winning the Waste Management Phoenix Open and sign his fifth title on the PGA Tour golf. Fowler began the fourth and final round in Arizona as a leader with four strokes ahead, but this Sunday he was choked by the bad weather22222 and lived moments of anguish. Under the rain, the Californian player made double bogey to 6, triple bogey to 11 and bogey to 12, with a single birdie in 10, to end up giving the command to the South African Branden Grace, who started the last day with a seven-point handicap. 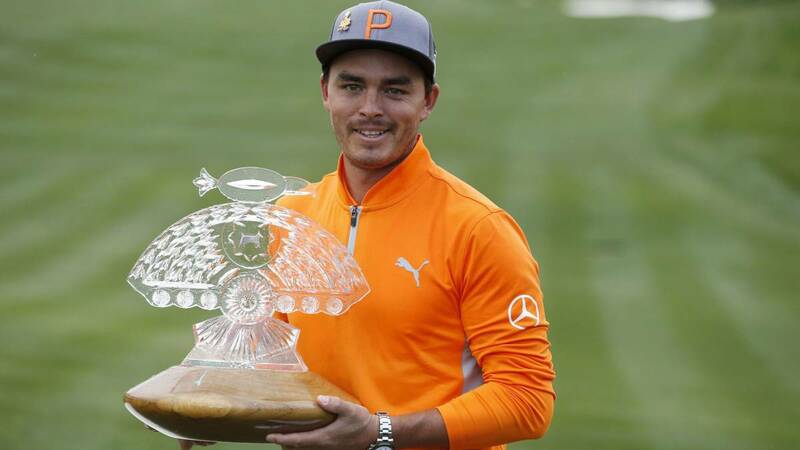 However, Fowler was able to stay calm and with two birdies in the 15th and in the 16, coupled with a bogey of Grace on the 17th, paved their torturous road toward the win in Arizona, despite finishing with a round of 74 (+3) . Rickie Fowler finished with two strokes ahead of Grace and three over her compatriot Justin Thomas. Five did Chez Reavie, Bubba Watson and Matt Kuchar. Rickie Fowler's last victory on the PGA Tour came at the end of February 2017 in the Honda Classic. Out of that circuit, in December of that same year he won the Hero World Challenge. In total Fowler accumulates nine professional titles, since his cinco on the PGA Tour are joined by two others achieved in the European Circuit. Spanish Jon Rahm He signed his sixth top-10 in a row finishing tenth seven strokes away from Fowler. The Vizcaino finished 2018 with a fourth place in the DP World Tour Championship in Dubai and the victory in the Hero World Challenge, and started 2019 with an eighth in the Sentry Tournament of Champions, a sixth in the Desert Challenge, a fifth in the Farmers Insurance Open and this tenth in Arizona. Rahm delivered this Sunday a card of 69 hits (-2) with an eagle and a birdie for a single bogey. The PGA Tour continues next weekend with the AT & T Pebble Beach Pro-Am, in California.